Hannah Ferrier is a popular Australian TV star who is widely known for the role she plays as a yacht chief stewardess on the popular Below Deck Mediterranean reality TV series. Fans have variously agreed that her really charming, fun-loving personality is what has kept the series quite lively. She is also adored by fans of the show for being an amusingly flirtatious figure who seems to never have a dull moment around her. Hannah Ferrier was born on the 23rd of November, 1986 in Sydney, one of the largest cities in Australia. Information about her parents’ identity is unavailable. However, she has often revealed that she is very close to her father and often shares photos of him on Instagram without revealing his name. Describing her early days, Ferrier revealed that she grew up on a small island with her family. Things were supposedly very hard for them when she was little. In fact, at the age of five, her family was hit with a huge tragedy when her older brother who was 10 at the time, died following an illness. His death led to many more problems for the family who struggled to live from day to day. In fact, at the mere age of 13, she had to leave school and work to support the family. After quitting school, Hannah Ferrier immediately started working as a full-time waitress. She would go to work from 6 am and return home at 8 pm. It was really hectic for her so after a while, she quit. She also worked in an IT and Telecommunications firm, starting out as a sales girl before moving up and gaining some experience in the tech world. However, even though things were becoming a little better and the family could afford more things they did not have before, Ferrier was never satisfied with the kind of life she was living. As an adventurous person, she was in love with traveling and wanted a kind of job that will allow her to tour the world. When she was 23 years old, she took a bold step and left her home in Australia to explore the world. She decided to take a tour of Europe and it was during this time that she took interest in becoming a yacht stewardess because it would definitely allow her to travel some more and meet new people around Europe. Ferrier soon found work on a yacht and started touring internationally from then. When Hannah Ferrier started working on yachts, she was ecstatic as she was apparently living her dream to tour the world and see sights that will blow her mind. The yacht is usually very expensive to ride on and only people with loads of money usually rent them for vacations. This meant that most of the people Hannah met every day while working on the yacht were quite privileged folks. In 2016, she finally got her chance to become famous when she was approached by executives of Bravo TV, an American pay television network, who asked her to take part in Below Deck Mediterranean, a reality TV show they were about to launch and she promptly agreed. The Below Deck Mediterranean show is actually a spin-off of Below Deck, another popular TV series which airs on the same network. Hannah became popular in America as the show progressed and has become quite a sensation on social media as fans throng her pages to have a glimpse of her from time to time. Hannah Ferrier has often stated that she is a lover of her family and will go any length to be there for them. Although not much is known about her mother, Ferrier has shown off her father to her fans on Instagram many times. The TV star has often confessed her love for the man. She also shares photos of herself hanging out with her people sometimes. Because of the way she works, she can disappear from home for weeks or months at a time. During these times, she confesses that she often becomes homesick. She, however, insists that her immense love for traveling and exploring the world is something that can never wane. Very little is known about her siblings. But she has once talked about her family being the most understanding folks in the world who take her for who she is. Because of the deep passion she had for touring the world, Hannah Ferrier had to leave her boyfriend back home in Australia and disappeared to Europe. Talking about this later in life, she explained that the decision was not easy to take but she had to do it to find fulfillment. The TV star also revealed that she had a BMW back in Australia but she had to leave that behind as well to pursue her dreams. 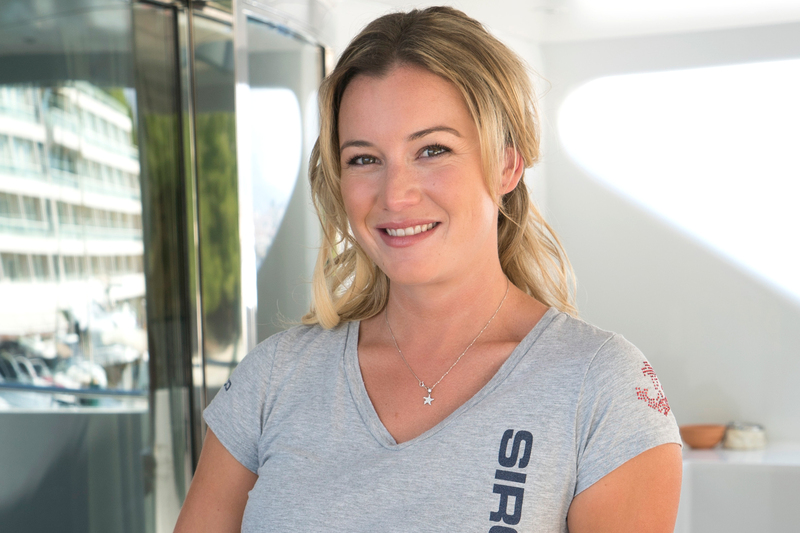 Hannah is such a fun-loving person that fans of the Below Deck Mediterranean TV series have come to love her personality. This may be one reason why she keeps being cast on the show every season. Usually, every season sees new people appear on the show but so far, Hannah has been the only member who keeps reappearing on the show every season. As good as riding a yacht for a living might seem, Hannah Ferrier has revealed it is not her dream job. According to her, her dream job is to host a travel show. This is a further reaffirmation of her love for traveling. Read Also: Rain Brown Age, Net North, Family, Where Is The TV Actor Now? Ferrier is in a loving relationship with Isaac Humphries, an Australian basketball player. The duo has been dating for a while and though we do not know the exact time they started their relationship, we know that they are very much in love and have been posting photos of each other on social media.